Master Distributors, a leading distributor of electromechanical, interconnect and passive components, announces that it now carries TL3240 Series and TL3210 Series illuminated tact switches from E-Switch. 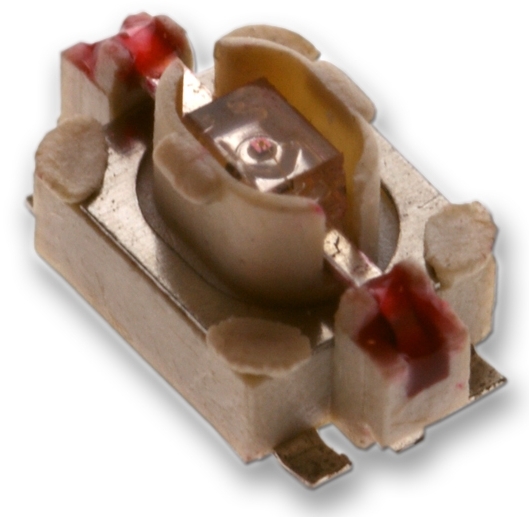 Both series are surface mount (SMT) switches that offer LED illumination in a variety of colors for applications such as the audio/visual market, computer peripherals, consumer electronics, instrumentation, telecommunications, and medical equipment. 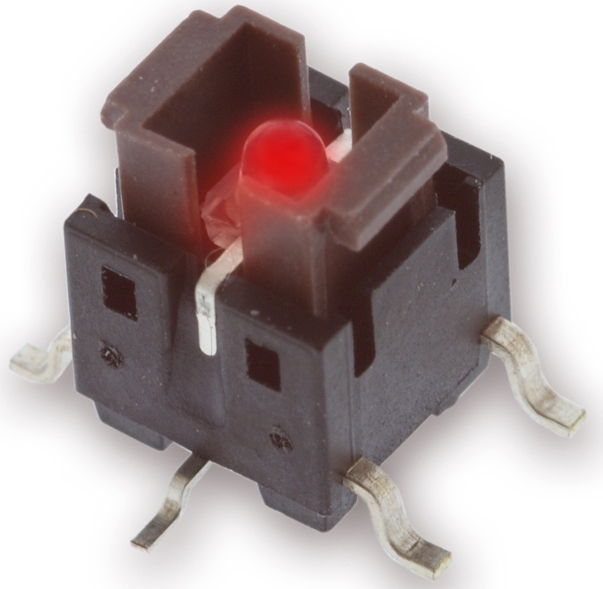 The TL3210 series measures only 5.6mm x 3.5mm, making it the tiniest illuminated tact switch in E-Switch’s product line. It is available with LED illumination in blue, red, green, yellow, white, and a bi-color red/green option. This tact switch comes in tape and reel packaging at 2,500 pieces per reel. With an operating temperature of -20°C to 70°C, the TL3210 features a contact rating of 50mA at 12V DC, a maximum contact resistance of 500mΩ, and an insulation resistance of 100 MΩ min at 100V DC. Its mechanical parameters include tactile travel of 0.2mm ± 0.1mm, an operating force of 160gf ± 50gf, and a long life expectancy of 100,000 cycles. The TL3240 series offers LED illumination in blue, red, green and yellow. It is also available with square or rectangular cap options in black, red, blue, ivory, green, or yellow. However, the caps cannot go through the reflow soldering process and are ordered and shipped separately. The TL3240 has an insulation resistance of 100 MΩ min at 500V DC, a contact rating of 50mA at 12V DC, and a maximum contact resistance of 100mΩ. With a long life expectancy of 200,000 cycles, it provides travel of 0.2mm ± 0.1mm at an operating temperature of -25°C to 70°C, with available operating forces of 100gf ± 50gf, 160gf ± 50gf, and 260gf ± 50gf. E-Switch has been delivering quality switches for the electronics, telecom, high tech, instrumentation, audio/visual, medical equipment, appliance, industrial controls and consumer markets for over 30 years. Master has been an authorized distributor of E-Switch since 2008, and has most of the company’s products in stock in their most popular configurations. Master Distributors is a leading electronic component distributor, dedicated to stocking breadth of part numbers offering customers over 350,000 part numbers for immediate delivery. Master Distributors has over 40 years of industry experience and has 12 stocking branches in North America. Master Distributors is franchised for over 230 suppliers, including ebm-papst, Honeywell, ITT Cannon, Omron Electronics, Panasonic, and TE Connectivity. For more information, visit www.masterdistributors.com.